With a renewed focus on skills and careers, the new edition of this bestselling text can help better prepare your students to enter the job market. 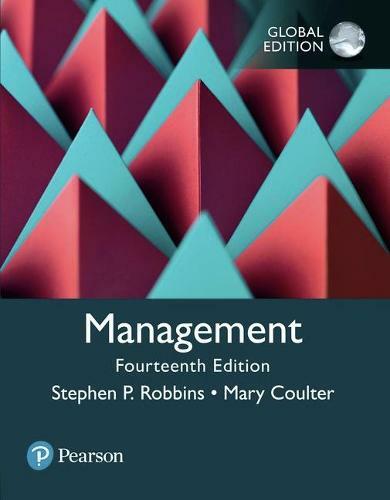 Management, 14th Edition vividly illustrates effective management theories by incorporating the perspectives of real-life managers. Through examples, cases, and hands-on exercises, students will see and experience management in action, helping them understand how the concepts they're learning actually work in today's dynamic business world. This package includes MyLabTM Management, an online homework, tutorial, and assessment program designed to work with this text to personalize learning and improve results. With a wide range of interactive, engaging, and assignable activities, students are encouraged to actively learn and retain tough course concepts.